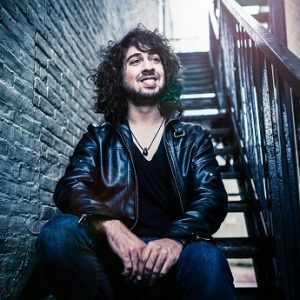 Chris Aguayo is an American singer-songwriter & guitarist with Chilean, Armenian, Lithuanian, Ukranian, Russian, & French descent. He is recognized as a “uniquely talented songwriter” by WFMZ-TV. Chris and his band play live frequently, bringing alternative-rock/pop to the dance floor with coats of face-melting guitar riffs and authentic tale-telling vocals. The band includes vocalist/guitarist Chris Aguayo, bassist Kevin Weaver, & drummer Aaron Richman. He also plays as a 1-man show with his acoustic guitar. Visit the full show schedule to find an upcoming show near you! Helping others has always been important to Chris and he has raised thousands of dollars by producing benefit concerts for organizations such as Save Darfur. In November 2015, he was invited to put on an acoustic performance at one of Amnesty International’s regional conferences. Chris also teaches and produces music for other songwriters.